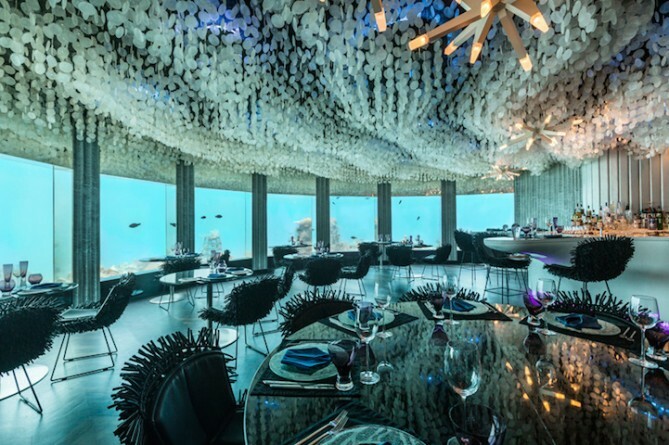 At the Subsix restaurant, located in the PER AQUUM Niyama resort in the Maldives, guests can dine with the fishes. The subterranean locale descends six meters below the waterline, and it was recently transformed by Poole Associates from a nightclub into a trendy dining spot. 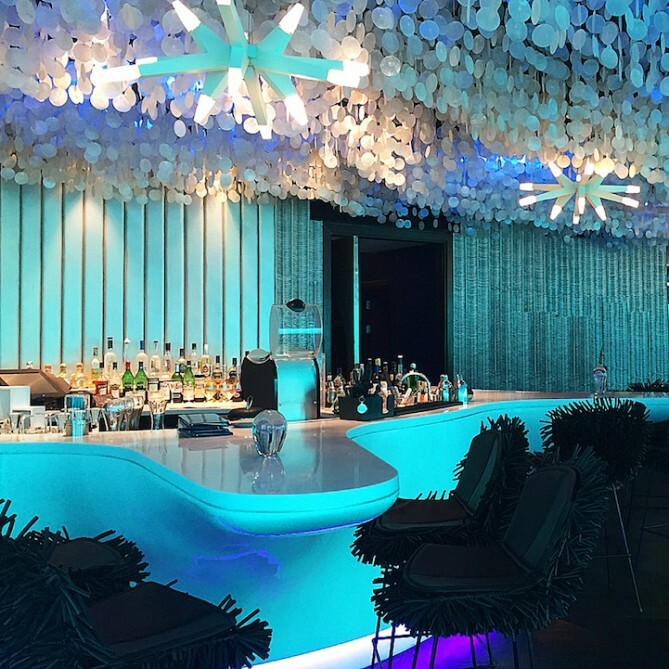 Its updated decor draws inspiration from its aquatic surroundings and infuses the marine aesthetic into every facet of the design. 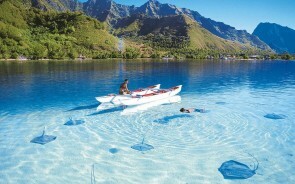 To reach Subsix, diners must take a speedboat to its 500-meter offshore location. Upon arrival, guests descend a dramatic three-tier staircase into the space. It’s lit with abstract chandeliers that mimic white stars sparkling through the sea’s surface, and they reside among thousands of strands of capiz shells that drape from the ceiling. 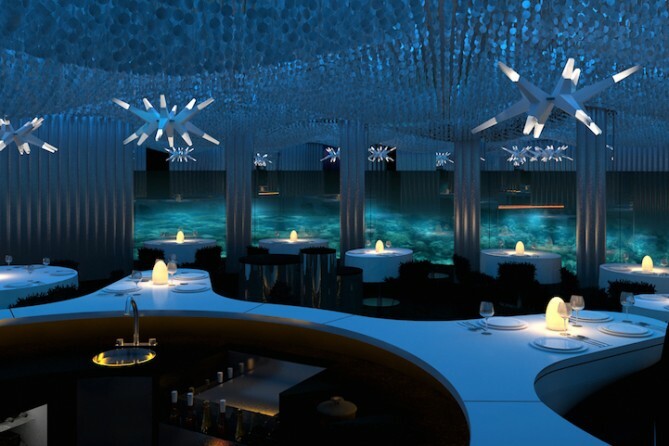 This stunning feature is reminiscent of the ocean waves and adds an incredible textural element to the restaurant. 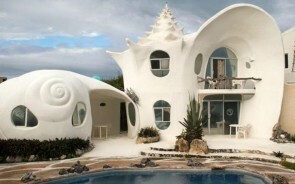 The center of the room includes a huge clam-inspired bar with a fiberglass shell. 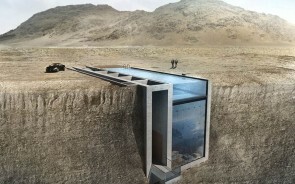 It conveys the mood of the space, and its lighting shifts throughout the day. The morning is lit pure white, lavender during dinner, and blue into the late night. Ultimately, the major appeal of Subsix is its proximity to ocean life. 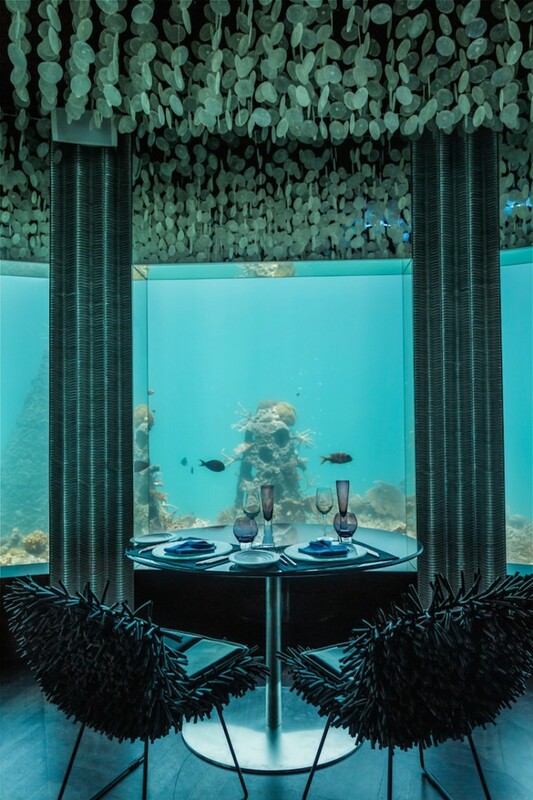 Coveted seats near the floor-to-ceiling glass windows allow visitors to observe over 90 coral reef species in the water. 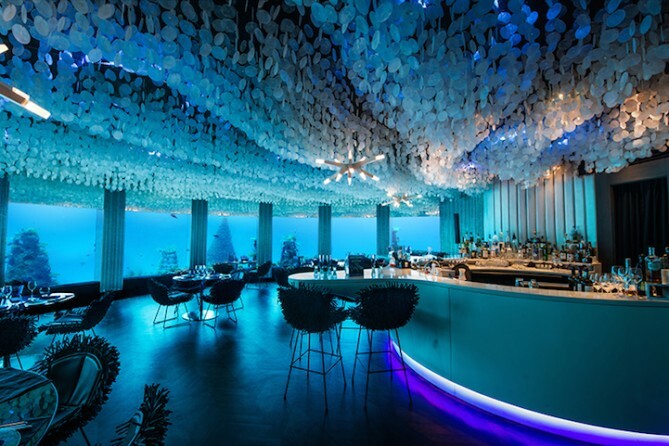 In addition, they can also witness groups like parrotfish, Moray eels, and butterflyfish for an unforgettable dining experience (By: Mymodernmet).